Glebe Walks | Sze Yup Temple, Edward Street. 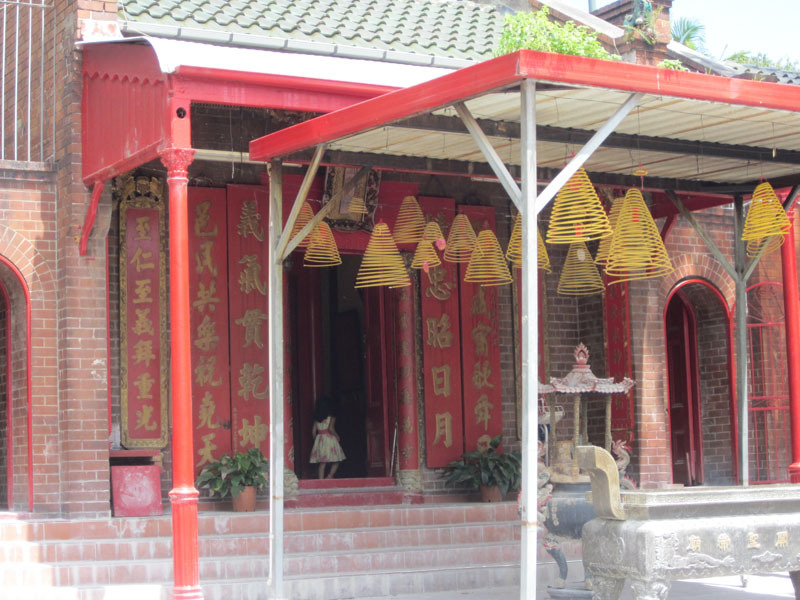 The smell of sandalwood often wafts from this surprising oriental joss house in the midst of residential Victorian streets. At the bottom of Allen Street turn left into Victoria Street and then immediately right into Edward Street. The wall opposite you, topped with glazed green tiles, encloses the traditional Sze Yup Chinese Temple or Joss House, one of only two in Sydney (1905). One of the gates is usually open, but please remember this is a place of worship, and although visitors are welcome, they should behave respectfully. The three rooms that constitute the Temple are dedicated to gods and heroes representing the Chinese cosmos. Chinese market gardeners, greengrocers, grocers and restaurant owners have played a prominent role in Glebe. The Temple enjoyed a revival from the 1970s, with the increase in migrants of Chinese background. Whether or not you have had a chance to inspect the Temple, return to the top of Edward Street and turn right, and then left, into Avenue Road. On the left is an avenue of native brush box planted in the carriageway, and a long row of well-preserved and restored cottages, many transitional between Italianate and Federation styles.